While many things have changed through the years, Hose Master continues to follow those guiding principles to maintain its leadership in the metal hose and expansion joints industries. For example, Hose Master was the first hose company in the United States to be ISO registered. Hose Master’s unique ability to build custom-designed manufacturing equipment means it can offer metal hose and expansion joints others can’t. Customer-driven means those hoses are built to meet our customers’ needs. Hose Master utilizes innovative manufacturing technologies such as a proprietary hydraulic process to produce the highest quality corrugated hose in a variety of alloys. Stripwound hose is manufactured using an advanced manufacturing process that yields an extremely consistent and balanced profile, which insures maximum strength and flexibility. The ability to build custom-designed manufacturing equipment also enables Hose Master to produce products to a higher standard than those made by off-the-shelf equipment. 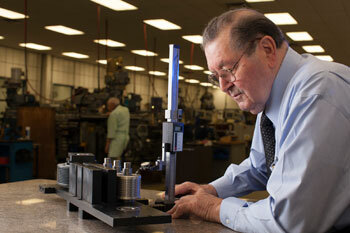 With “standard” equipment, quality and performance features are determined by the equipment’s limitations. In contrast, Hose Master first determines the quality and performance features of the customer needs, then builds the machinery to make products perfectly suited for that application. Hose Master’s highly trained staff uses state-of-the-art manufacturing equipment at its 350,000-square-foot facility in Cleveland OH, as well as its other facilities in Houston TX, Atlanta GA, and Reno NV. These facilities produce large volumes of high-quality metal hose assemblies fabricated by a team of 90+ certified ASME IX welders. To assure the highest quality, Hose Master tests 100% of the hoses that are released from its facilities, and has a state-of-the-art failure analysis lab where detailed reports can be compiled in the event of a failure. Knowledgeable and responsive customer service is a founding principle at Hose Master. Properly specifying for the safe use of metal hose and expansion joints requires engineering the assembly for the rigors of each application. Hose Master’s trained inside sales associates and experienced engineers understand their job is to make sure customers receive the best solution to match their needs. Whether metal hose needs to be fabricated into assemblies or shipped in bulk from Hose Master’s vast inventory, customers get exactly what they need, when they need it. 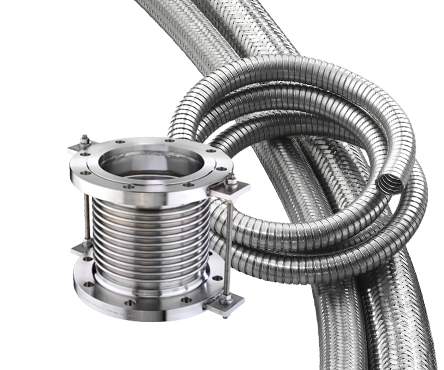 Hose Master offers unparalleled support in engineering, inside sales, and field assistance to aid in designing metal hose and expansion joints that meet specific application requirements. In addition, Hose Master offers Hose Master University to customers interested in learning about metal hose and expansion joints and the fundamentals of industry, applications, and sales. For intelligent, customer-driven design, highest quality manufacturing and outstanding customer service, click here to contact a Hose Master representative.